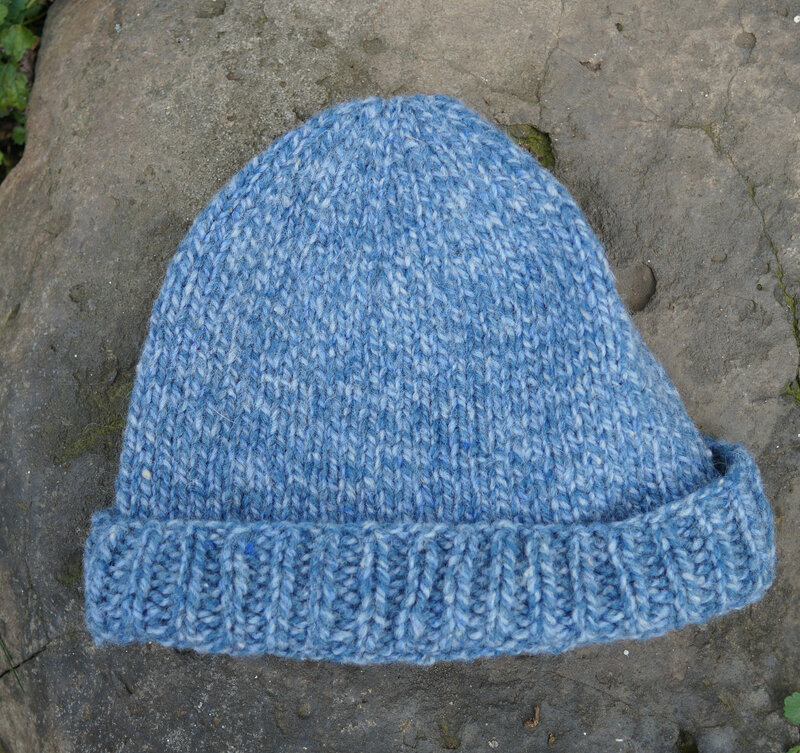 BLUE TWEED hand knit 100% wool hat. Made of American wool yarn and knit by hand on our farm. Hight is 10 inches with cuff down or 8 inches with cuff folded up. Circumfrance is 17 inches un-stretched. Yarn used is Bartlettyarn acadia tweed.